I got a report yesterday from a visiting birder (thanks Judy!) 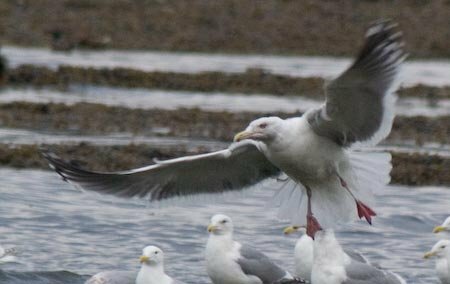 who saw a dark mantled gull at the mouth of Indian River yesterday. She thought the bird was probably a Slaty-backed Gull. I made a stop out at the mouth of the river this evening just to look around briefly. 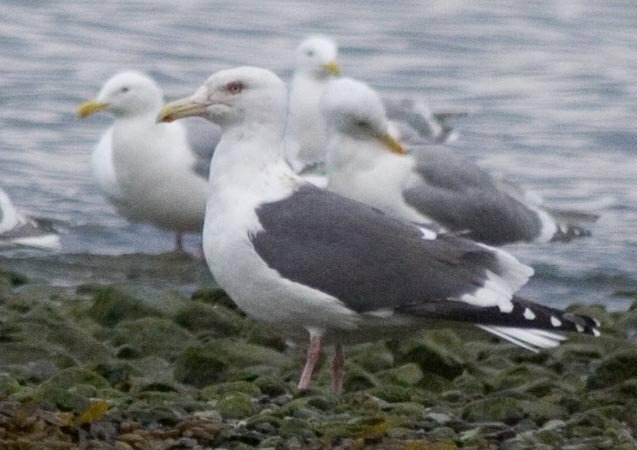 I was fortunate enough to see a dark mantled gull just across the river from me at the edge of a large flock of gulls. I was able to get several photos of it, both on the ground and in flight. 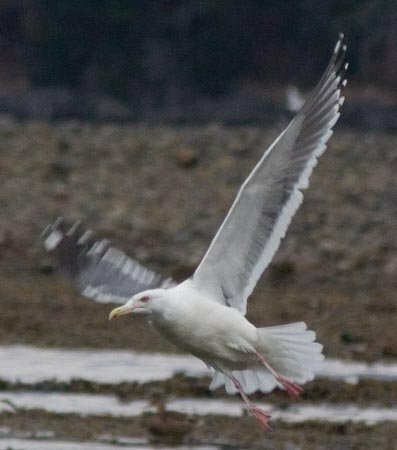 I would assume this is the same bird that was seen yesterday, and it looks to me like a Slaty-backed Gull, but I would like to have confirmation from other more experienced gull watchers. 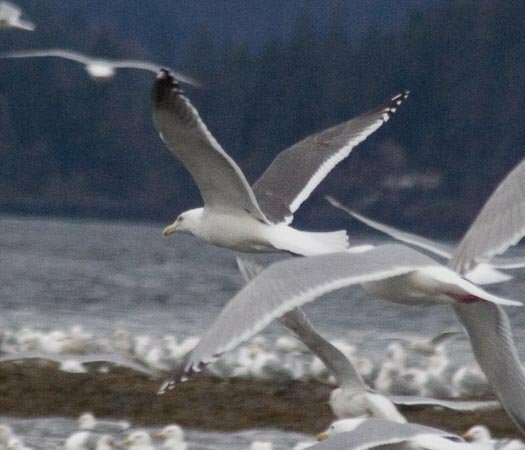 This entry was posted in birds, identification, photo. Bookmark the permalink.